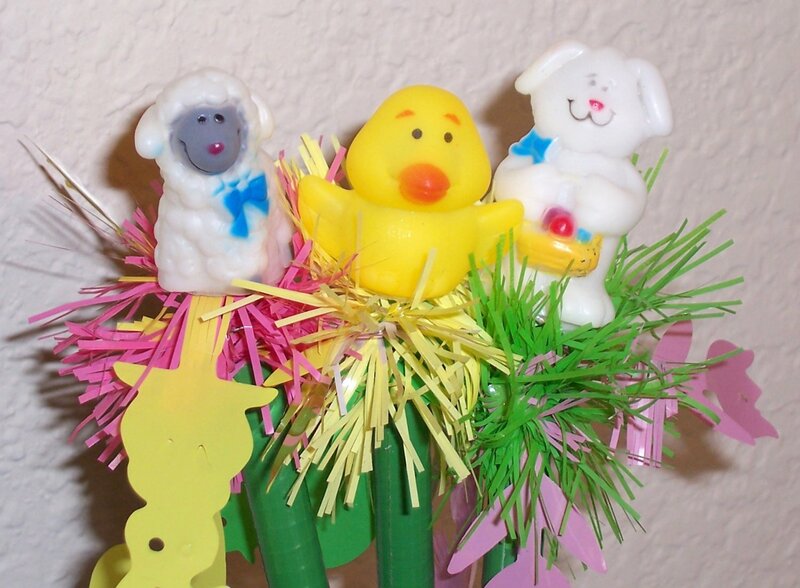 Adorable soft vinyl Easter figures perch on ball point pens. Each figure is securely mounted on a spring concealed by colorful garland, and pens are wrapped in dark green Duck brand duct tape. Perfect for adding to baskets or your pen cup at work! This set of 3 pens consists of 1 Chick, 1 Lamb, and 1 Bunny.